Pushbutton by hook or by hookstation. Pushbutton by hook + by hookstation. Pushbutton by hook + by hookstation + general to release hooks of all the jetty. Selector (key type) in the main console (remote control room), to activate / deactivate the system as well as a switch to enable the release in local or remote. Selector in the main console (remote control room), to enable the release in local or remote. Pilot to indicate local/remote state. Control panel for the operation of the actuators integrated into the base of the hook. In case of having a capstan, the panel is shared with this control. Motorpump integrated into the structure of the QRH. Control panel to control the cylinders integrated into the base of the hook. In the case of having a capstan, the box is shared with this control. 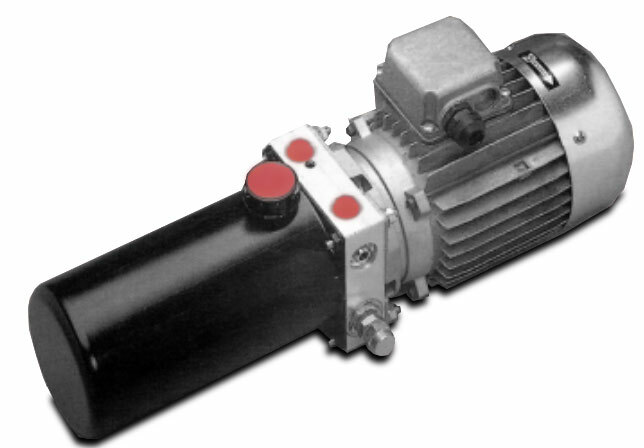 The option of one hydraulic unit per station can also be activated with the corresponding hook solenoid valve. In addition to the corresponding ducts and cables for communication, the system consists of a conventional desk format control panel and a local control panel. Power supply 3F+N+T, 400V, 50Hz. Inverter with integrated thermal relay (actuators)/contactor + thermal relay. Power supply F+N+T, 230V, 50Hz. 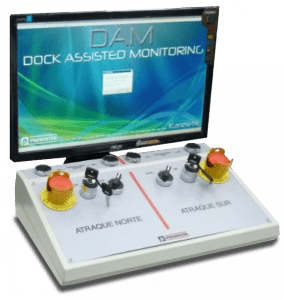 In addition to the corresponding ducts and cables for intercom, the system consists of a desk monitor-SCADA, control units and a local control panel.